Right, sorry! I was too lazy to go back & look. I remembered the currency issue, but forgot which was which. good thing I got my order in before they announced the U.S. distributor. 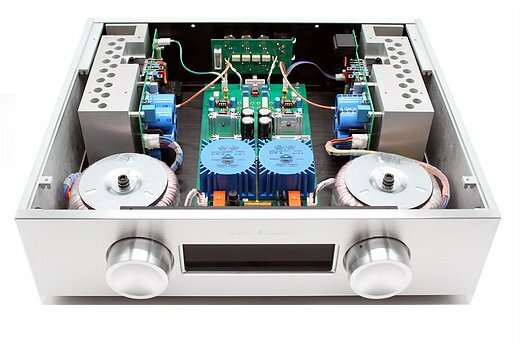 the amp now goes for $2500. demand is up for the amp, ordered mine 7/31 and it is scheduled to ship at the end of next week. Lemme hold your wallet, Marvin! 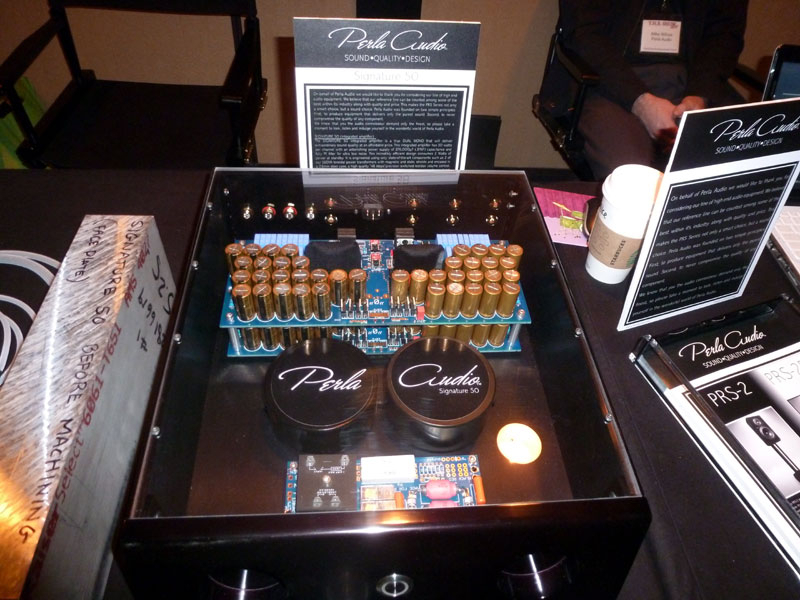 top amp $9k 50 watt, class a/b integrated amp. 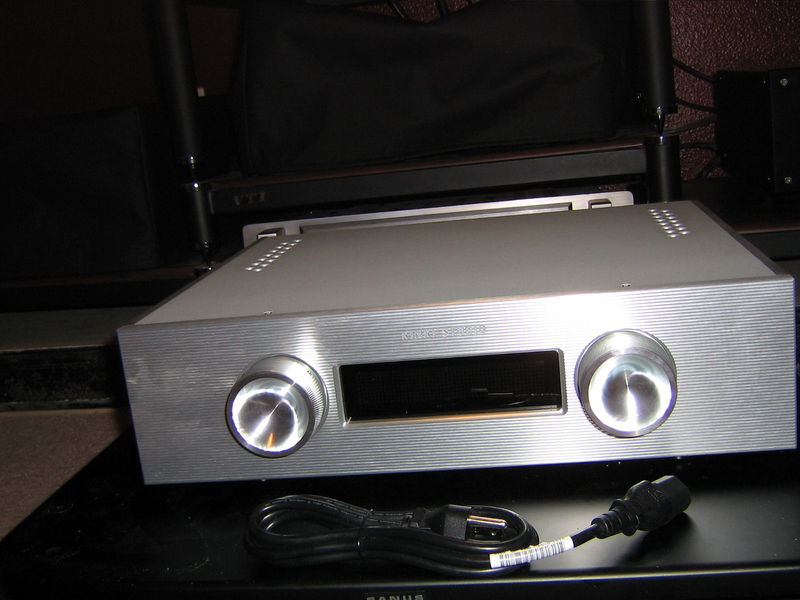 bottom integrated amp $2.5k class a/b 200 watt. top amp has two 160va transformers, bottom amp has two 300va transformers and weighs more. 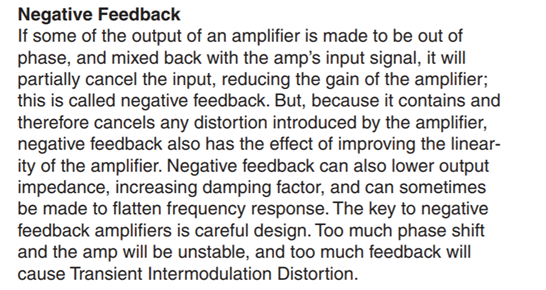 I believe the top amp is made in the us while the bottom amp is made in china. The bottom one looks so pretty I'd almost run it with the hood off! amp cleared customs in ohio today and is scheduled to deliver Thursday. and pics! We want pics! DEAR GOD!! some of the best money ever spent. Really after a day of listening and you can proclaim that? It takes me weeks, sometimes months to analyze a new piece of gear and form an opinion. you mean 20 minutes. manufacturer suggests 300 hours burn in, but out the box you can tell it's something special. heavy as all get out, i'm on crutches and dhl would not take it up stairs for me, had to put it on the steps. i could pick it up and skip every other step until i got it to the top. i'll post some pictures later. got a $2.8k Unison Research Nuovo and it's not in the same league. p.s, it will be up for sale shortly. Sometimes a component can make a very good first impression. Quad ESL-57 did that for me; I have a flashbulb memory of the first time I heard 'em... and I've never been disappointed by them, either. Ditto the Altec Duplexes. I will look forward to a little elaboration on his initial impression though. Kinda reminds me of Astronaut Dave Bowman's last words when he enountered the orbiting monolith. "The thing's hollow -- it goes on forever -- and -- oh my God! -- it's full of stars!" it has a tight grip on the bass, fast, good tonality, has detail but not the hyper type. full body piano. dead quiet background. pinpoint imaging. highs are not harsh but flowing. i'll write a mini review here as i am going to write a full review for alvin so he can post it on their web site. the bass driver in my speakers is in a sealed enclosure and the bass is tight and powerful. 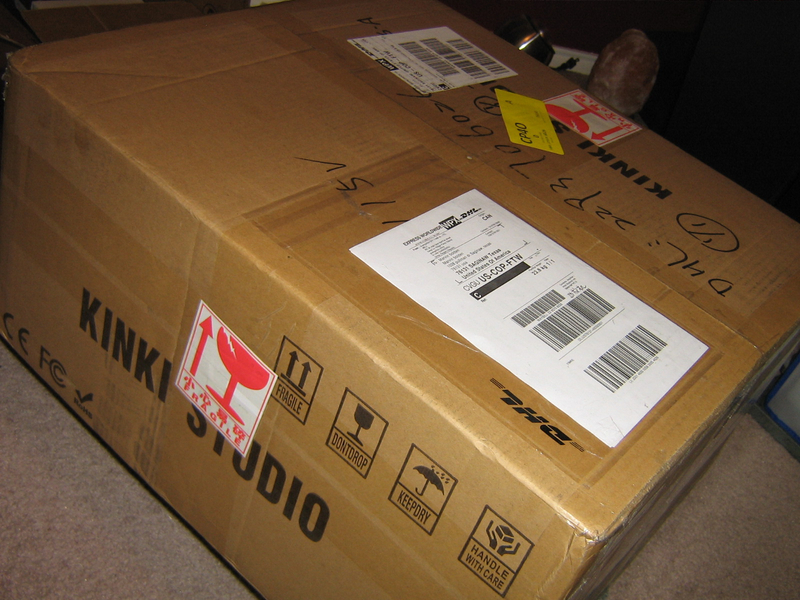 kinki says 300 hours to burn in, if it gets any better i may be selling off a lot of equipment. getting down with some buika. fit and finish is hot, you know how us guys like to play two big knobs. 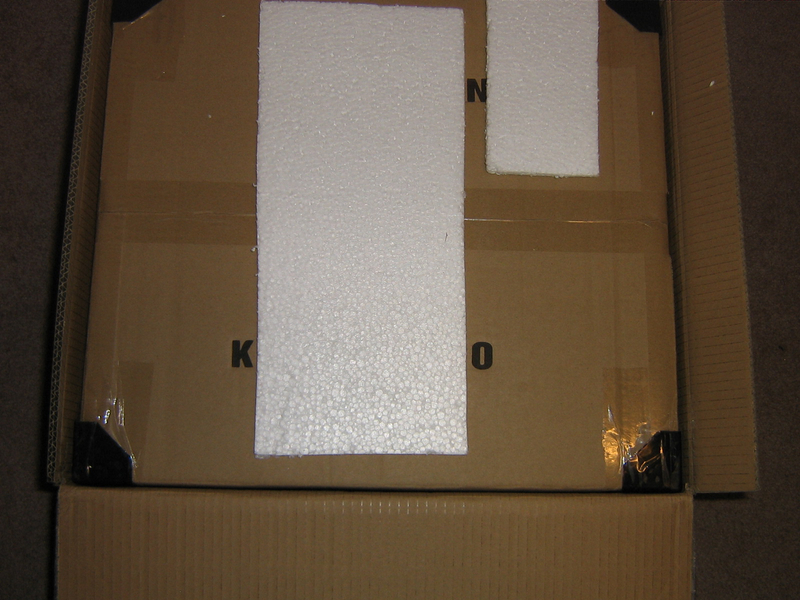 thing is heavy, dhl would not bring it upstairs for me as i'm on crutches. had to put on one step at a time. Glad that your initial impression of it is positive. When you get tired of listening to it, pop the top and take some photos! there are pictures of the inside at the beginning of the thread. will post unboxing pics after dinner. @mhardy6647 taught me that there's a difference between user-taken guts photos, and guts photos taken and provided by the manufacturer. i'm on crutches and dhl would not take it up stairs for me, had to put it on the steps. i could pick it up and skip every other step until i got it to the top. i'll post some pictures later. You said you were going to post pics of you on crutches going up the stairs....where are they? Yeah, the DHL guy wouldn't help him carry it up the stairs, but he stood there and took pictures while Marvin struggled on crutches to carry it up. How rude. You always were a bit slow. Doing a little spec research shows a damping factor of 2000!!! That's extremely high. In fact, I cannot recall seeing a rating that high before. I might be wrong, but that seems to indicate a ton of global feedback, which is not a good thing. Yes it is high - - the super-high DF was a thing in the late 1970s... 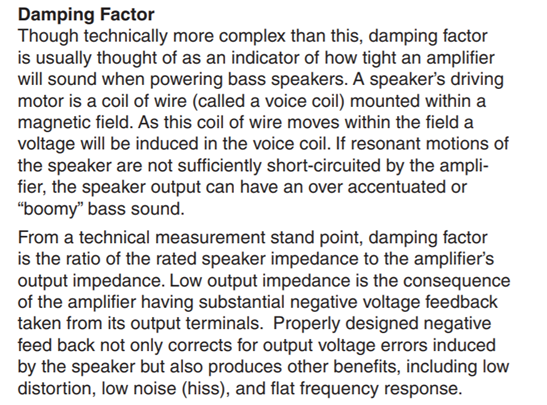 I seem to recall some Soundcraftsmen amps with crazy high DF (i.e., low output impedance). Yes it is achieved, first and foremost, by (global) NFB -- I am no fan of global NFB in general and certainly worry about poorly implemented NFB, but I think that nowadays, the better designers have a reasonable handle on proper implementation of feedback, but I do conucr that the cure can be far worse than the disease*. One will recall the infamous Polk Cobra Cables, which presented a reactive (high capacitance) load and which could drive a marginally stable amplifier (e.g., one with too much and casually implemented NFB) into ultrasonic oscillation followed by self-immolation. But high amounts of NFB aren't necessarily disastrous a priori. I will mention, in closing, that that hack Nelson Pass pretty much eschews NFB in his designs. Crown, I guess it is/was. 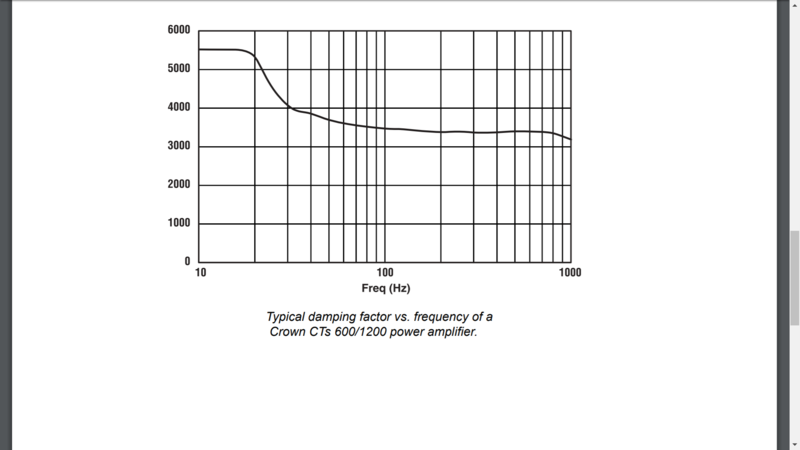 I think the highest damping I have seen on an amp is 1000. Guess you need a Crown PA amp, bubeleh! Yep, me too. In fact, I had a Rotel with that rating. It was painful on the ears. 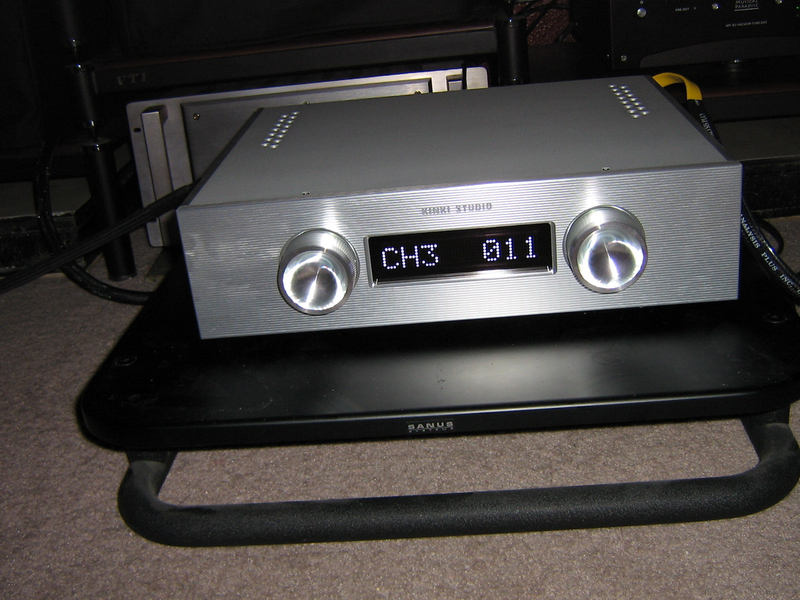 the kinki ex-m1 is anything but harsh or painful on the ears. I picked up on that. 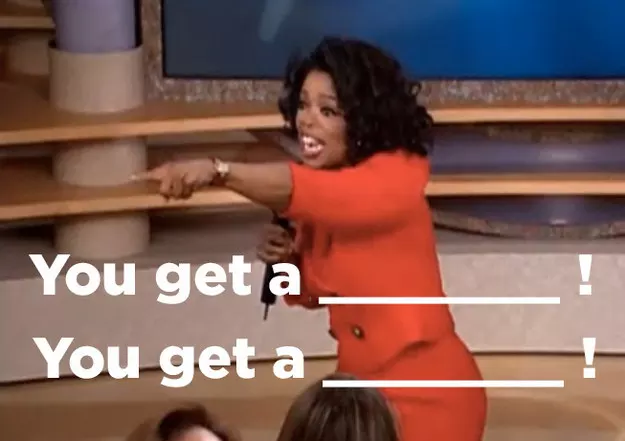 Where's Oprah when we need her?